This is an educational piece. All rights reserved. This video, if monetized, was not done so by me. Many different sources were used in this presentation and a deep appreciation goes out to all of them. Though too numerous to name here, the following list of references used throughout this video should point you in the right direction. Thanks for your time. Watch the explosive VAXXED trailer above, and you can find the VAXXED Facebook page at this link. Gateway Pundit | And the DC elites wonder why Donald Trump is winning the Republican primary? Dr. Russell Blaylock illustrates and discusses how the human population is being manipulated into violence and eventually destruction through the use of nutrition or lack thereof. The nutrition manipulation and biological manipulation from national or international Pharma/Food/BioTech companies are degrading and impairing the human cognitive function and intellect. This is deliberate and strategic (as in Agenda 21 or Codex Alimentarious) for the Illuminati to keep the human populace suppressed, confused and oppressed. This agenda has been going on for centuries to further the luciferian agenda and profit making scams, all while increasing the prison industrial complex and adding new laws and outlawing naturopathic remedies, in a constant war on the people. 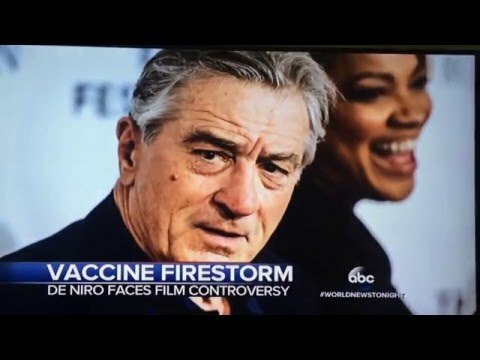 Over vaccinations and mandatory vaccines are also covered by Dr. Blaylock and how people are being destroyed mentally and physically because of this. He also covers how misleading studies, like those of Soy products funded by Illuminati or government owned institutions also have destructive nutrition (collective or individual) to further blindside the people.